The group conducting the study, Steel Market Development Institute’s (SMDI), is made up of industry names everyone would recognize like Ford and General Motors. Its goal is to do battle with the aluminum industry to protect the steel industry’s interests in the automotive marketplace. 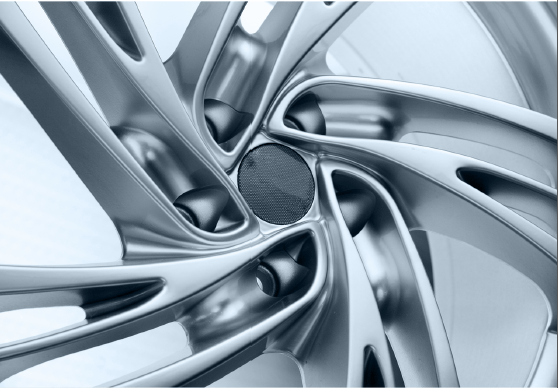 The study concluded that by using new grades of steel, along with new manufacturing processes, a high volume wheel can be produced that might be applicable to more than just entry level applications. As every engineer knows, there is no right or wrong materials. For each application every material offers plusses and minuses. Cost, manufacturability, supply chain reliability, aesthetics, and other factors are just as important to big car companies as durability and weight. Engineering students studying metallurgy are often reminded that during the cold war the US assumed that all the planes in the Soviet Union were being made primarily of exotic alloys of aluminum and titanium, or from complex composites and honeycomb structures, just as those in the US were. However, when a defector flew his Soviet-made MiG-25 to Japan. The US was surprised to find that more than 80% of the plane was steel and Inconel (a nickel-steel alloy). Despite using much easier to manufacture materials, the plane was performance competitive with the best of the US designs.